Seven in ten consumers in India would be willing to share significant personal information, such as location data and lifestyle information, with their bank and insurer in exchange for lower pricing on products and services, according to a new report from Accenture. The data is part of Accenture’s global Financial Services Consumer Study, which was based on a survey of 47,000 consumers in 28 markets, including 2,000 consumers in India, and found that more than two-thirds of Indian consumers would share that data for benefits including more-rapid loan approvals, discounts on gym memberships and personalized offers based on current location. At the same time, however, people believe that privacy is paramount, with nearly four out of five consumers (81 percent) saying they are very cautious about the privacy of their personal data. 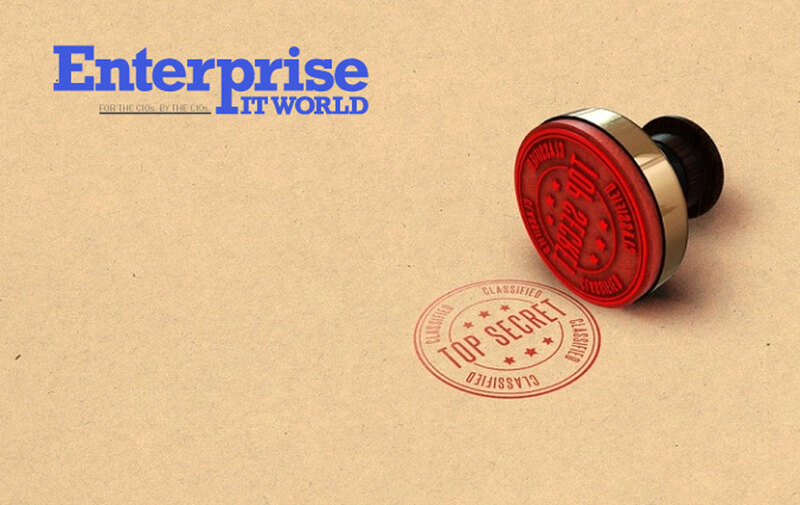 In fact, data security breaches were the second-biggest concern for consumers in India, behind only feeling like their complaints are not dealt with in an acceptable manner, when asked what would make them leave their bank or insurer. Indian consumers showed strong support for personalized insurance premiums, with 76 percent interested in receiving adjusted car insurance premiums based on safe driving and 69 percent in exchange for life insurance premiums tied to a healthy lifestyle. The vast majority of consumers (92 percent) would provide personal data, including income, location and lifestyle habits, to their insurer if they believe it would help reduce the possibility of injury or loss. 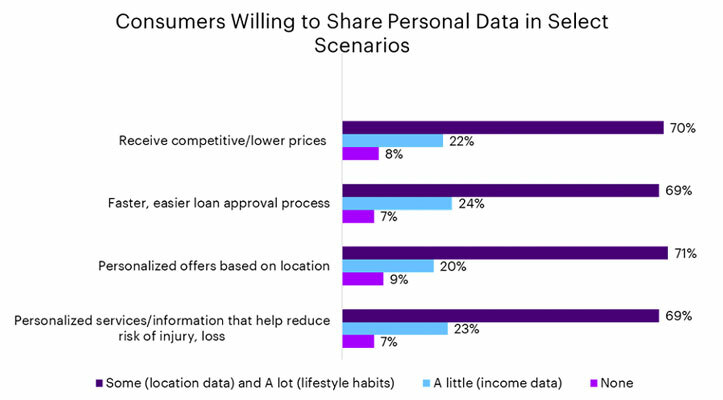 In banking, 93 percent of consumers would be willing to share income, location and lifestyle habit data for rapid loan approval, and 91 percent would do so to receive personalized offers based on their location, such as discounts from a retailer. Nearly three-quarters (76 percent) of consumers want their bank to provide updates on how much money they have until their next pay day, with the same rate of respondents (76 percent) wanting savings tips based on their spending habits.